The first episode of the landmark BBC natural history epic focusses on chimpanzees, with programme-makers saying it has all the intrigue, family tensions and violence of a primetime drama. In often fraught scenes, the highly intelligent primates are filmed hurling rocks as the struggles to defend positions on the hierarchal pyramid erupt into terrifying fights. 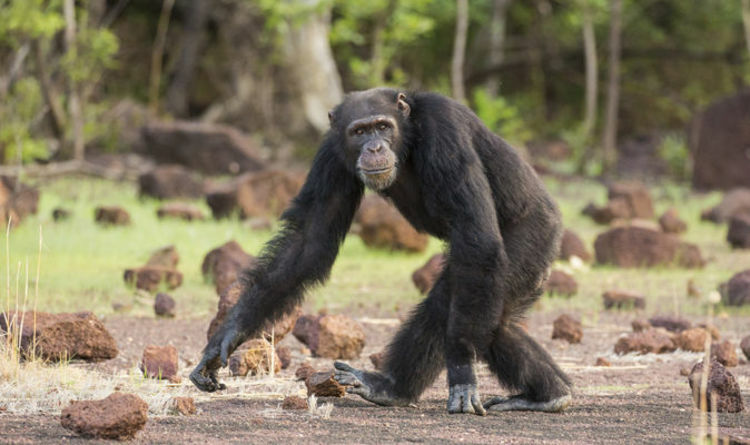 Sunday’s first episode tells the story of an alpha male chimpanzee called David who leads his group of more than 30 individuals in a remote corner of Senegal, where the near-desert conditions makes life tough during the dry season. David the chimp has no allies to protect his crown and not only has to fend off younger rivals but was also always prepared to show the BBC crew who was boss by using body language to display dominance whenever the cameras began rolling. Yet the most tense moments come when the battle to be top chimpanzee turns violent. “Creating fear within the group is one way to become leader,” explains Sir David as one chimp pretender makes a bid for the crown. As ape screams echo through the forest, punctuated by the sounds of heavy rocks thudding against branches, the BBC film crew, for all their proximity to the action, say the chimpanzees respected their status as onlookers. Rosie Thomas, producer and director of the Chimpanzee episode, explains: “The times we were most at risk was when fights were kicking off. The chimpanzees would often chase each other around and hurl rocks that are so heavy I can’t even lift them. “Chimpanzees are incredibly strong – far stronger than humans – and we were very close. That was quite nerve-wracking because you really didn’t want to get hit by one. During 309 days filming, covering more than 1,500 miles on foot, the production team captured many unusual behaviours, such as the chimpanzees walking on their hind legs as if copying the characters from Planet of the Apes. “It’s all very political, and at times it’s a bit like watching a soap opera,” added Ms Thomas. “Everything the chimpanzees do is in order to garner favour, to gain some kind of future advantage. They are always working out who is powerful and worth befriending and who isn’t. Similar to politics, there are characters that you like, and ones you don’t like. It seems everyone is trying to work an angle of some sort. “Our group lives in a very different environment to most chimpanzees, as it is a mosaic of savannah and forest rather than just dense forest. This means that they do things other groups don’t, which makes them very interesting to film. * Dynasties: BBC One, Sunday, November 11. 8.30pm.